If you like music and dance you must be looking for dance studios in Dubai for your kid or for yourself. But before you have to do a little research about this. It is not recommended to enroll in a school that you visited the first time or the school that is more nearest to your home. Before that, you have to do some research by meeting someone or you have to visit each and every school individually. When you visit the school these are the things that you need to ask there. Before you enroll in a dance studio it is important to know where you are going to enroll your kid or yourself. E.g. if your kid has just missed a class then they will provide you a make-up class or your class has been missed for that week. You can also ask about the recitals and their fees, some dancing academies take fees for recital’s costumes, makeup, and hair etc. It depends on how much you want to spend, however, these things may increase the dance classes, but most of the time all these are for the good of the students. Before you enroll in the school also ask about the teachers. It is necessary for the teachers to be a good dancer as well in terms of education and performance. Look if the instructors have a minimum of bachelor’s degree with previous experience. Also, check in the dance academy that which age level of students they handle. If you are going to enroll your kid that is two years old, make sure that the school accepts young aged students. But if you are looking for dance classes for yourself then also make sure that they have classes for an adult level. Make sure that the school is offering the dance classes that you want to register for. As many dance academies in Dubai offer a variety of dance classes like hip hop, tap dance, ballet, jazz, etc. It will definitely narrow down your search and can help you to decide easily if you make sure that the school offers the type of dance that you are looking for. These are not the only facts that will help you to find the best dancing school in Dubai. You also have to know that what is expected from your kid and you as expected from the teachers. This will make sure that your kid and you have the good time during the classes and learn a lot. Melodica Music and Dance Institute offer dance classes in Dubai. If you are looking for dance classes or dance studios in Dubai, Melodica offers ballet, salsa, belly dance and hip hop dance classes etc. Visit our website and enroll for one of our dance classes. Moreover, we also offer music classes; come and join Melodica music classes. Also See: Are You Sure You are Behaving Properly in the Dance Class? Here we have collected some questions from different Dubai forums about dancing classes in Dubai. But before let us say that why dance is considered a healthy activity. Dancing for your kid is one of the healthiest activities. If you compare dancing with other sports activities like football or wrestling, dancing is safer than the mentioned sports. However, dancers also deal with pains and aches as sometimes a wrong step may lead you to a severe injury. Let’s have a look what people normally ask about dance classes. 1. Where to attend the dance classes? Mostly kid’s classes for dancing are performed in a school, institute or dance studios nearby you. Search for the best dance classes in Dubai for kids. Some of them also give a trial class that will help you more with the school environment like teachers, facilities, etc. 2. What sort of dance is recommended for Kids? It depends on the interest of your child. However, the best dancing institute mostly offers all type of dance classes that also include, hip-hop and ballet classes. 3. What is the Cost of Dance classes in Dubai; are they expensive? It depends how quality education the institute provides. However, dancing classes are not always expensive. However, a school with formal recital are usually a bit expensive as students have to wear proper shoes, costumes and accessories and to adopt certain hairstyles. Yes, you can attend but most of the dance institutes in Dubai prefer to sit in the waiting room because it might distraction the student’s attention; however, you can see your kids while in the class with screen as live cameras are fitted in each and every class. If you have some questions, you can contact with Melodica Music and Dance Institute in Dubai. 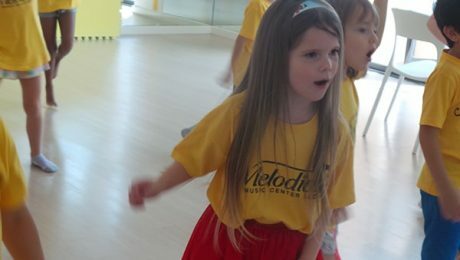 Melodica offers dancing classes like Ballet, , Salsa, Belly dance and hip hop classes in Dubai. Come and join Melodica and Dance institute dance classes. Dance is surely an enjoyable means to show your innovative side and to enjoy the fun at one time. You’ll find a lot of various styles of dancing to try, like Ballet, Salsa, Hip Hop, Belly. Moreover, for the enjoyment, you can also take classes for Yoga and karate for fun. Many dance institutes have instructors who can train you with a range of different methods. There Methods or styles can vary from Ballet to Salsa, Hip-Hop and many other styles. These institutes will start classes that are normally from a few months to 1 year. Dance can also be a great means to keep yourself fit. If you are searching for some enjoyable means to keep healthier and meet up with lots of other similar people from your region, it could be worth registering with a nearby dance school. A great dance school would have a dance studio that is specifically made to support you learn to dance with the best possible conditions. 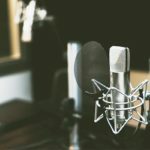 Many studios are perfectly soundproofed and structured to optimize acoustic sound, so you won’t be disturbed by noises coming from the external world, including traffic etc and also music will be of the best quality. Soundproofing also indicates that music is usually played at a louder level without making unnecessary noise for the nearby community. An ideal studio is particularly made with a sprung floor. However, these are good for the joints and muscles of the dancers’ as well as a sprung floor is considered as an appropriate surface for dancing. Lots of studios have full-length wall mirrors for more than one wall, that enables dancers to see their selves when they perform. This may help a group of dancers to keep in time with each other or may be used by a dancer to enable them to evaluate their body movements. Good dance studios could also have certain machines or tools that let dancers for warm-up stretches in a very secure way. 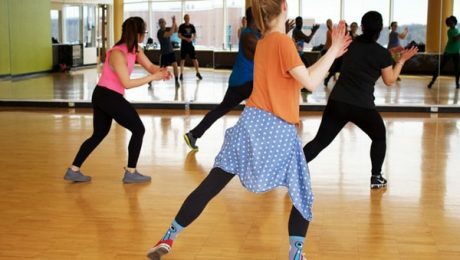 For anyone who is very keen to learn dance, it is very beneficial to being part of a professional dance institution having a studio along with right warm-up devices, simply because unless you warm up appropriately before you start dancing, you’re at the hazard of pulling a muscle with a serious injury. Registering with a dance school can be an ideal option to get fitter whilst having fun. Join Melodica dance classes in Dubai and have a great fun and enjoy the essence of dancing. 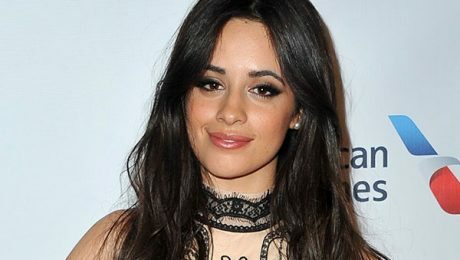 Camila Cabello is once again getting the attention of her fans to “Havana”, a featured scene in her dance video. “it’s an unedited a rare scene that we did for our song Havana!! !” as she posted in Instagram Saturday (July 21). She elaborated that she got improvements in her dance when she saw her videos and realize that better she can do and after a few years of hard work she achieved whatever she wanted. “but since I started dancing it’s made a huge difference in my confidence and how I express myself and it makes me feel like I could kill a man with my heels on. I love it and I love the way it makes me feel,” Cabello said. She included that she’s “extremely proud of this part of the video” and planned to publish it in event of “Havana” newly being selected for best video of the yr and best dance at the year 2018 Video Music Awards MTV. Stay tuned with Melodica.ae news and updates. Get enrolled in Melodica dance classes in Dubai and learn how to dance. We have classes for Ballet, Salsa, Hip Hop, Belly Dance, Yoga, and Karate. Come and visit our school for more information regarding dancing classes. Finally, after a few years, Ciara is appearing on screen with some new music. This is unbelievable that Ciara hasn’t released her new songs since 2015. To recover her career, Ciara has released a music video on YouTube. The song is about her leveling-up from her ex-future. Some of the lyrics are about thanking God as she didn’t settle and upgraded with time. She uploaded a video clip on Twitter in January regarding many females desiring to be wedded but going in the soul of “girlfriend” and she added in her post “#LevelUp” as a description of her post. She got loads of reactions for what she posted and explained it with an Instagram posting regarding being during her “lowest moment” that time and “that’s when I noticed married or not… I wanted to love myself,” she finished that posting with #LevelUp. Now, what do you realize regarding Level Up? 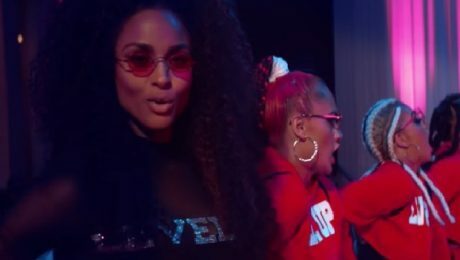 The music includes a different beat and makes me wish to dance and clearly it made Ciara desire to perform exactly the same in her latest video. Stay Tuned with Melodica for latest News updates and articles about Music & Dance. Get enrolled in Melodica vocal classes and other music classes in dubai; we are situated in multi locations in Dubai. 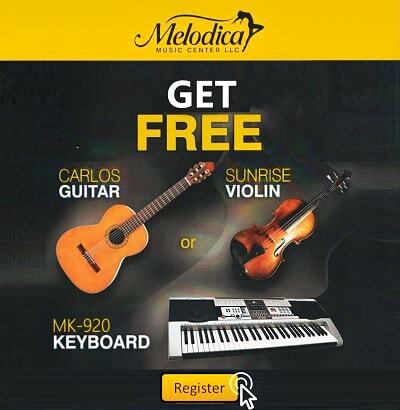 Visit Melodica.ae, the top-rated music institute in Dubai, UAE. Just imagine how would be the future music instruments. I guess they will be visible in front of your eyes situated on windows, tables, and walls. Only a little imagination will be needed and a piece of hardware will be needed to use them. A team of artists and scientists are working on some new technology in which any surface will be converted to a musical instrument. 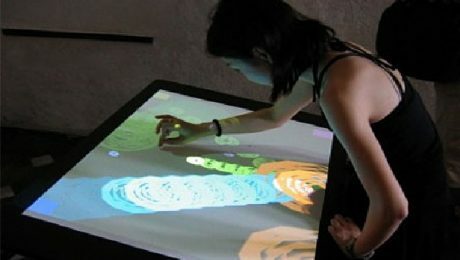 This technology also called MUTE or “Multi-Touch Every Where”. Like if you record your clapping sound, snare sound or sneeze, then you say to your computer to play one of them and when you tap a certain part on wall or table, the right side of the table will play drum beats in form of snare while the left side will make some other sound. If you touch both sides your will hear the music of both sides at the same time. This system will use a camera and laser to observe which part you have tapped on the table. If the surface is more programmed and even if it’s not solid or don’t have any physical shape, it will float in front of you musician and MUTE developer Alain says. “It will work even in the air” as the lasers will create light and when you try to tap it, your movement will be detected. Now you can easily imagine a virtual piano in front of your eyes and face. When the MUTE system is fixed on a surface, it uses sensors to find the location tapped and it will also create vibration. While the device is not fully the musical instrument, but it allows someone to be creative and this is a method that we are providing to people to create their own instruments. Another functionality of MUTE technology will be layered sound; e.g. when you are beating drums then you can also add a layer of sound to the drums sound that will play along with the drums sound. Melodica Music and Dance Institute deal with the latest musical instruments in Dubai like Piano, Guitars, Drums, etc. 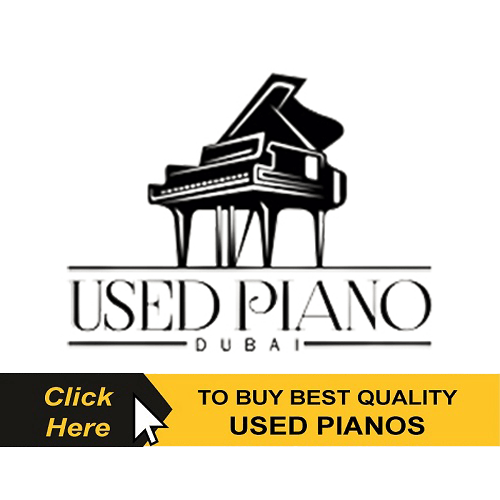 Moreover, Melodica is also the top-notch dubai music school. Come and visit Melodica to buy a musical instrument or to enroll in the Melodica Music classes in Dubai, like guitar, violin, piano, singing and drums classes. You like singing, want to become a good singer and continuously struggling for this. To make your voice better these tips will help you. Without proper breath, you cannot use your voice with its utmost potential. Are you able to breathe correctly? Just keep your hand on your stomach and inhale. You should see your hand moving out and your stomach should be expanding. You need to inhale a strong breath to give full support. To support your breath the lower abdominal muscles are being used and the abs crunches will definitely help you to create strength in that particular area that you are using to make the voice. Your breath makes its way from your lungs to mouth straight. If the way is blocked or twisted it will not be able to go outside. Therefore, your standing position can affect your sound. You should stand and your chest should give your lungs plenty of space for expansion. Make your shoulder, and back relaxed. If you have some tension (Physical problem) between your head to abdomen, it can affect your sound. Your throat muscles, jaw, shoulders, throat and facial muscles should be relaxed as much as possible. There are a lot of warm-up exercises for facial and jaw that keeps your muscles relaxed in your shoulders, vocal cords, and face. For your voice to be more resonated, this is necessary to keep your palate raised. Keep the tip of your tongue, at the back of your teeth and this will keep your throat away from blocking. The best drink for you is water if you are a singer; especially if you have a performance coming up, avoid thick drinks at least three days before your performance and Drink only water. When you are singing and something hurts you then you should remove the cause of hurting. 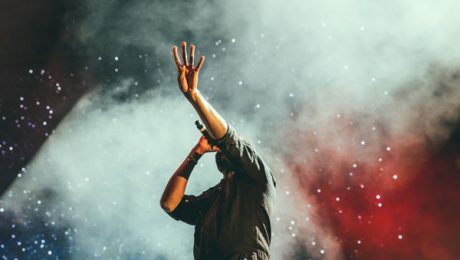 While you sing, you need to sing strong with healthy volume, but sometimes there are some barriers that stop you from making your voice loudly. E.g. Don’t sing if you have a sore throat. Otherwise, you will make it worse. Don’t start singing loudly directly without warming-up in the starting. A good warm-up exercise means that you concentrated on your body, relaxed your breath and you started singing from a low and simple breath. During the warm-up process, don’t sing in loud voice otherwise, it may affect your voice severely. If you are a beginner in the music, you have to enroll in a music school. Try to search for the best music institute that has qualified teachers to teach you how to sing. Singing is something that anyone can learn; just enroll in a good music school if you are a beginner in music. Melodica music and Dance Institute offers singing classes in Dubai UAE. Visit our website www.melodica.ae and enroll for vocal classes today. How Does Dance Classes Make One a Better Athlete? Did you know that dance classes can make you a better athlete. The world top athletes likes Emmitt, Hines-ward and Emmitt Smith have been known to be top dancers. The physical and mental benefits that one can get from dancing are also same like athletics training such as swimming, cycling and weightlifting; and it is a reality that dancing is just a fun and not a boring activity. Regular dancing can boost the strength of your muscles, improves tones muscles, motor fitness and can help you to manage your body weight. As said by the University of Brighton, if you want to lose your 300 calories from your body, then you need to dance just for half an hour. Moreover, dancing can make your bones strong that is really needed in sports like rugby and football. Dancing classes is not only about getting stronger and fit but it also boosts your aerobic fitness. It means that if you want to enhance your long walking and hardworking ability then you have to rely on dancing. About the ballet dancing, Jean-Claude Van Damme who is a professional kickboxer, before he was also action movie star said that if you can survive ballet dance, then you have the ability to do any workout related to any sport. Dancing can enhance your flexibility and coordination as dance training is all around memorization and you will need to repeat the constant steps. Dance classes keep your mind sharp by regular exercising their cognitive and cerebral thoughts. According to a study in Imperial College London, dance training not only increase your balance but also enhance your moving ability. According to another study, dancers are more likely to perform the tough physical moves. How does dance classes make one a better athlete? If you have seen any football athlete while performing the bicycle kick then you will realize exactly why dance practicing is also very important to be a good athlete. 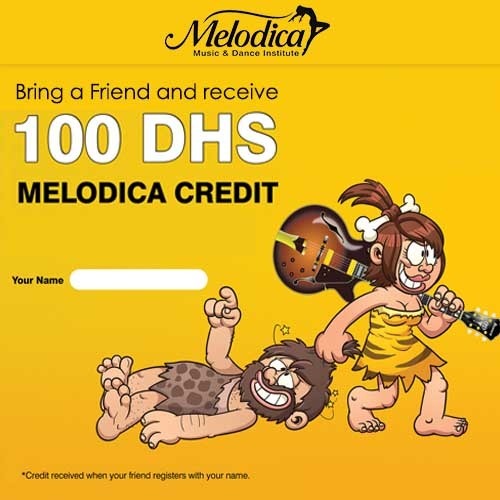 If you want to enroll for dancing classes in Dubai, visit www.melodica.ae and contact us with our online form. Melodica has professional European dance teachers who are dedicated to teach classical ballet, hip hop, belly dancing, salsa dance yoga, etc. Contact Melodica! Schools’ is out and the weather is getting hotter. Keep your kids engaged in fun and exciting activities this summer. Melodica Music and Dance Institute are organizing a summer camp in Dubai for kids aged 4 to 11 years. The summer camp offers activities like Music, Dance, Art & Crafts, Games and a lot more. Your child’s weekly activities are planned carefully and conceptualized to provide them with fun and educational activities which will make their summer holidays worthwhile. And not to forget the children will have the chance to perform weekly at the end of their sessions. 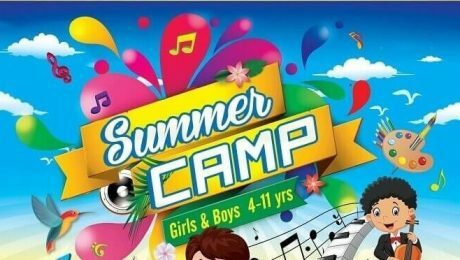 The summer camp is available at three of their branches; The Palm, Al Furjan and Jumeirah. So hurry up and enroll your kids in Melodica’s summer camp before spaces run out. 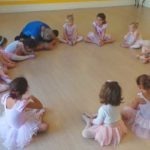 Planning to start ballet classes for kids in Dubai? Ballet classes for kids in Dubai is very popular activity among people. Ballet classes are very exciting for parents as well as teachers as it is one of the wonderful activities for kids. Ballet dance can develop self-confidence in your kids and make an optimistic self-image in them. Moreover, ballet dancing can teach your kid the self-discipline, grace, and poise. A child who is introduced to the ballet classes in a very early age have more chances to make attraction toward arts and improves the passion of movements and rhythm. In short, ballet is full of fun. Most of the people believe that it’s better to enroll your kid in the ballet dance classes as soon as possible. If your kid is 4 to 5 years old, focus mostly on the personality and emotional personality of your kid. If your kid is very shy and pushing your kid into an uncomfortable position, may discourage your kid from dancing. On the contrary, if your kid’s confidence level is high, even the early start will give her an incredible start. Another step is, if you are in Dubai you might be thinking about where your kid should be enrolled. This is the most important thing to decide that in which institute in Dubai you have to select. 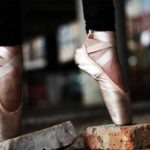 As ballet dancing has got a lot of popularity in the recent years, so there are a lot of ballet dancing schools in Dubai. All the dancing institutes are not the same. Before you enroll your kid in any school in Dubai, make sure that the place will be the perfect one for your kid. In Dubai, nowadays there is a huge trend in ballet dancing among the young girls. Most of them want to be a ballerina dancer and become famous. If you already have decided to start with ballet dancing for your kid then it’s ok; otherwise, we recommend to start ballet dancing for your kid. Probably this is one of the most important things for your kid before starting the ballet dancing to buy shoes, tights, and leotards. If you are not sure about what your kid will need exactly for ballet dancing, then you can ask from the teacher. However, instruct your kid to wear the proper ballet dress and to tie her hair and wear the soft ballet shoes. Most of the dancing institutes have the complete set of ballet dancing dress. Ballet dancing is fun and at the same time, it’s hard work. If your child is new to ballet classes then it should be as fun and not as a chore. 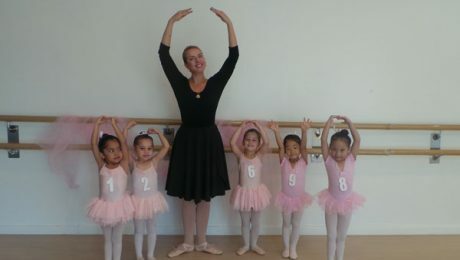 Notice your child during the ballet class and make sure she is smiling and having fun while learning the ballet dance. School recital is held at the end of the year for all the students to show off their skills and moves. 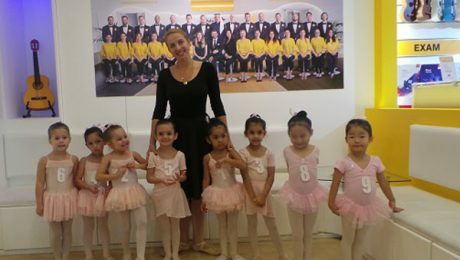 Melodica Music and Dance institute is the top-rated institute in Dubai for ballet classes for kids in Dubai. Enroll your kid today to learn ballet dance with fun, joyful and family/friendly environment. Visit Melodica!